To strengthen the banking system. The bank rate is an official interest rate at which RBI rediscounts bills held by commercial banks. For controlling credit, inflation, and money supply RBI will increase the bank rate. Current bank rate – 9% - 9.55%. OMO aims to direct sales and purchase of securities and bills in the open market by RBI which aims to control credit. 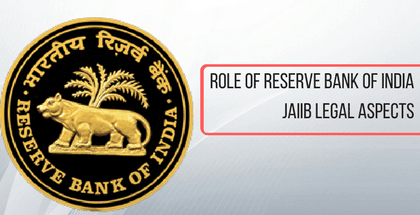 CRR refers to that amount of deposits in the commercial bank which it has to keep with RBI as the reserve. Current CRR – 4%. SLR refers to that portion of deposits kept itself as liquid assets. Current SLR – 20%. Repo rate means a rate decided by the RBI for the purpose of lending some money to the banks for a short-term period. When repo rate increases from RBI becomes more expensive. Current repo rate - 6%. Reverse repo rate is the rate in which RBI borrows money from the bank. When reverse repo rate increases become getting more rate of interest from RBI. Current reverse repo rate - 5.75%. The qualitative measures were used by RBI for selective purposes only. They are- Margin requirements, Consumer credit regulations, Guidelines, Rationing of credit, Moral suasion. The RBI can issue an exchange currency, coins and notes and destroys the same when they are not fit for the society. The RBI shall have the sole authority to issue currency in India. Their objectives is to issue currency to the public at large and to maintain the currency, reserves and credit system in India. Every note issued by the RBI contains its name on the top along with the governor signature below promissory clause. Every bank should have to obtain a license from RBI for the purpose of conducting banking business in RBI under RBI act 1934. The RBI should issue a license to those entities in the private sector, public sector and non-banking financial institutions (NBFC) under wholly-owned Non-Operative Financial Holding Company (NOFHC). But the entities who are going to apply for a license in RBI should run their business effectively for 10 years. The RBI had granted the license for 23 new banks up to 2014. For example - Bandhan bank, Airtel payment bank, Equitas holdings, etc. RBI was acted as bankers for all the banks in India. As per this role, RBI was enabled smooth and swift clearing settlements of interbank transactions. Also, it was provided effective means of fund transfers for banks and enabled banks to maintain their accounts with them for statutory reserve requirements and maintenance of transaction balances. Most importantly Why RBI called as bankers’ bank? --- Because it provides loans to banks, accepts deposits from banks and also rediscount the bills if banks. 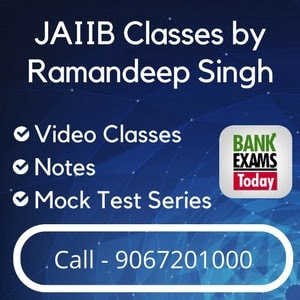 The banks could borrow some of the money from RBI by way of keeping securities as collateral or any other arrangement at the time of their need for the purpose of financial help. Thus, the RBI was working as a lender of the last resorts (LORL) for banks. The RBI kept deposits of both central and state government as a deposit free of interest. They had received and made payment on behalf of the government. They had carried out the government exchange remittances and other banking operations. They helped both central and state government to float new loans and manage public debt. As a whole, the RBI was acted as an advisor to the government on all monetary and banking functions. Under this techniques, RBI had issued prior information or direction that loans to the commercial banks would be given up to a certain limit. In this case, the commercial bank would be tight in advancing loans to the public. The RBI was acted as a clearinghouse for settlement of banking transactions. And also it was a member bank of the Asian Clearing Union. The clearinghouse had facilitated the exchange of instruments and processing of payments instructions at a central point among the participating banks. Now RBI would be contained 14 major clearing houses of the country. The RBI was required to maintain external value of Rupee. For this goals, it was acted as a custodian of FOREX. This was administered by Foreign Exchange Management Act 1999 (FEMA). On a given day, the foreign exchange rate would reflect the demand for and supply of foreign exchange arising from trade and capital transactions. Their Financial Markets Department had participated in the foreign exchange by undertaking sales or purchases of foreign currency to reduce volatility in periods of excess demand for/supply of foreign currency.